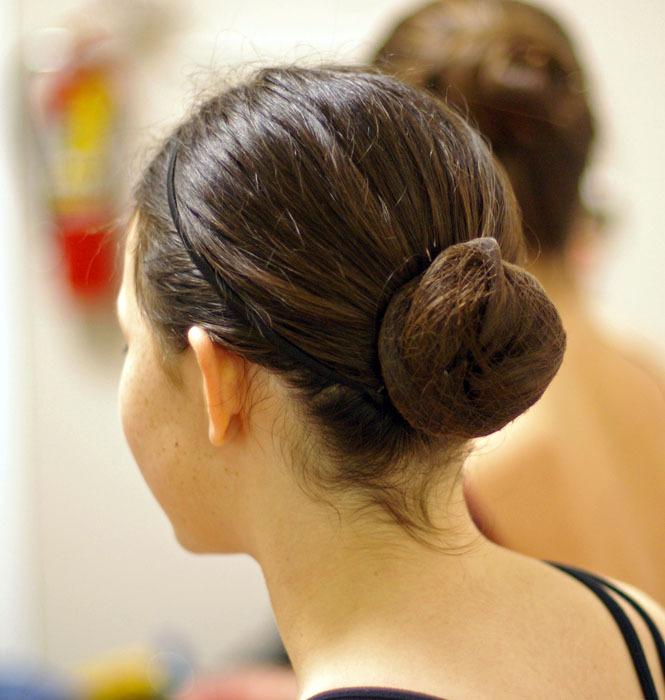 The best way to put the dancer's hair in a proper bun is to start with the hair wet, preferably dirty (not just washed hair) and lots of gel. The pony tail needs to be at a specific spot. Take your hands and place them under the dancers chin and follow diagonal to the back of the head. Where the hands meet is where the center of the pony tail needs to be. Always use two pony tail holders that match the hair color of the dancer. Once the pony tail is made, rub a handful of gel into the pony tail. 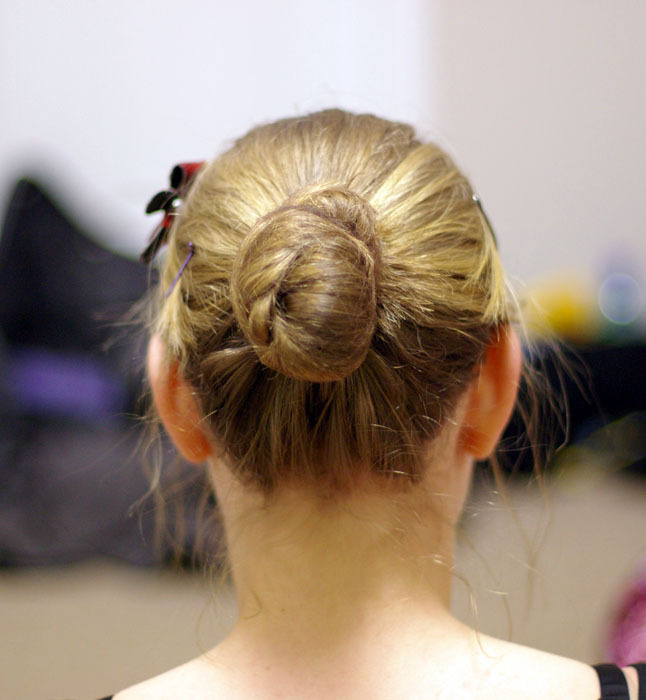 Divide sections of hair – if the dancer has thick hair, usually six sections will work. If the hair is thin, then not as many sections will be necessary. Take a section and twist the hair, then coil the twisted piece around the pony tail using thick-end, big open hair pins. Catch the outside edge of each section and flip the hairpin in tight. Repeat using a section of hair from the opposite side of pony tail. Continue until all hair is coiled up, and this will create a rosette-style bun. Use two hair nets which match the dancer's hair color. For bangs and wispy bits in the back, put in tons and tons of gel, then use a fine-toothed comb and comb it to the pony tail and secure with closed bobby pins that match the dancer's hair.